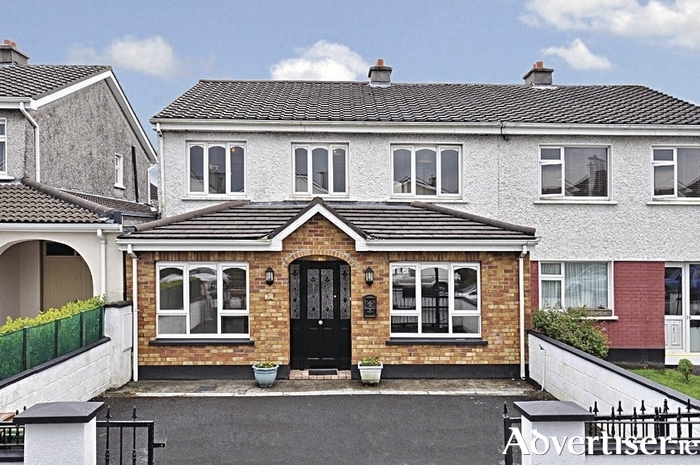 Mullery auctioneers has just brought to the market No 37 Whitestrand Road in Salthill, a deceptively spacious five/six bedroom residence in a highly desirable location only minutes from both Salthill and the city centre. The property, which has been extended, offers excellent living space including a stunning light filled open plan living/ dining room/ kitchen. The property benefits from a southerly rear aspect and is not overlooked from the back. The accommodation comprises hall, living room, open plan kitchen/dining/living room, family room, downstairs bedroom/play room, en suite, five first floor bedrooms (four en suite ), and shower room. Outside, to the front is a driveway with off street parking and to the rear is an enclosed garden with a southerly aspect and two small sheds. The property boasts an idyllic location within a short walk of the city centre and only minutes’ walk from Salthill. The convenience of this location cannot be overstated, with all conceivable amenities available within easy walking distance including shops, a choice of primary and post primary schools, parks, and excellent bars, restaurants, and coffee shops. Salthill Promenade and beach are both within a few minutes’ walk of the property. Full details are available on www.mulleryauctioneers.ie, or call Mike Mullery of selling agent Mullery auctioneers on 091 567275 or 087 6424106.